Traditional steel crib features an easy-to-clean powder coated finish and a 360˚ welding process which provides long-lasting strength and prevents the harboring of bacteria. Convenient non-folding design fits through standard doorways without the hassle of folding and unfolding. Easy assembly, includes all necessary tools. 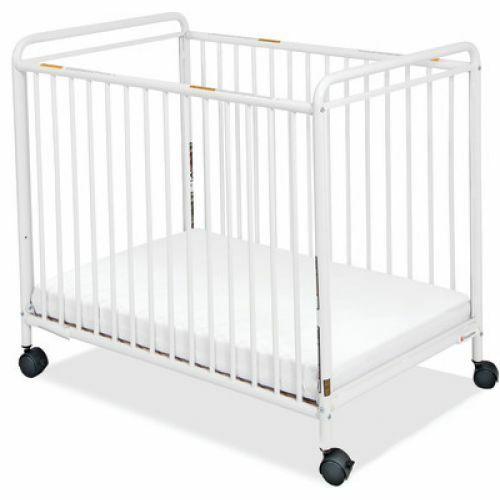 Assembled dimensions 40 1⁄2"L x 26"W x 33"H. Limited 1-year warranty.